Email is still the most valuable and powerful tool for any online business. If you are in any kind of online business and trying to move your service or product online, email marketing will be the game-changing tool for your business. Approximately 85% of internet users prefer email to communicate. Email provides the most reliable way of communication both for business and personal purpose. We used to flaunt over other social media sites but email is comparatively personal. You can grow your business online but why any of your visitors will provide you his/her email? No matter your visitors like your brand, you have to convince them to provide their email. The best way for doing this is to use different lead magnets on your blog or business. If you are not familiar to lead magnet then this small introduction of a lead magnet will be helpful for you. “Lead magnet is something valuable that you offer your target audience in an exchange of their email”. Trust me it is one of the best ways to drive more traffic to your website. You can offer different things to your visitors including any content, information, your success story, same niche related important data, case studies etc. Here I have listed 15 actionable lead magnet ideas to grow your email list. The checklist is one of the favorite lead magnets because it is very easy to consume. It is easy to create and provides the best results among the other lead magnets. It is easy to consume because it consists almost everything that your site visitor needs to know. Checklists are very easy to create. You can offer your audience a 100 page of an ultimate guide but many of them will hate reading those big documents on their laptop or smartphone. The checklist consists the most highlighted and critical elements in a comparatively small word count. That’s why it is easy to consume and applicable. Your target audience will find it really worthy and you can also create a big email list. A checklist provides a lot of vital and valuable information to the subscribers. It helps them to discover flaws in their approach. They can easily list those essential elements necessary for their success. Create an effective email course and offer your visitors for free. The best way of making it digestible is to creating it truly relevant to the targeted visitor’s niche. The most important element of an email course is its topic. It must be capable of creating maximum impact and must be eye catchy. You have to work a lot on its topic that seems to be very valuable for your target audience. For example, if you are running a PPC niche blog you can create an email course on basic techniques for starting a PPC campaign at the very first time. Make effort to highlight the point that your email course consist exclusive knowledge and your subscribers have to pay for it anywhere else. Another way of creating effective email course is to compile some of your most useful content from your blog and structure it for email course. Before creating an email course make sure it has the right duration. Making it too long or too short can turn visitors off and will be less attractive. Here are the few must-have elements for your email course. Your email course must have high-quality content, email-list integration, auto-responder and an eye-catchy cover design. You can use AWeber.com or MailChimp.com to configure your autoresponder. Free consultation offers are also one of the best and effective lead magnets. When you offer something for free this seems to be very valuable, becomes more eye-catchy. The free consultation offers works best when you are in SEO or web design related service. Offering free consultation or audits can help you in growing a bigger community of subscribers in less time. A lead magnet must be attractive and convincing enough, thus you have to work a lot to make it attractive. If you are not providing SEO or web design related service you can still offer other audits or reviews for free to gain more subscribers. You can gain more leads and it becomes easier to convert your subscribers into paying customers with this kind of freebies. Engaging more with your subscribers bring new chances of online marketing. Webinars can provide you tons of subscribers as well as it also helps in collaborating with same niche people and bloggers. With creating a webinar you can also access to the customers of those bloggers you have included in your webinar. Thus, webinars can leverage your email list and bring you, new customers. Webinars are great for engaging with same-minded people but it isn’t so simple. Most people will not give time for your webinar you have asked for and if you have little traffic the situation may be worse. Before starting a webinar make sure you are going to engage more people otherwise you may finish it with two or three participants. Webinars considered as one of the best lead magnet source but it all depends on your managing skills. Webinars provide great results lastly on your sales funnel. A cheat sheet is especially a shortcut solution for a particular problem. Cheat sheets are quick, straightforward and very easy to digest. A cheat sheet may be packed with the answers given for a specific problem or it may have enough solutions for multiple problems. With an effective cheat sheet, you can gain tons of subscribers in a short time period. Make effort to put key niche information, valuable data insights and great actionable shortcuts. If you manage to create an effective cheat sheet you can attract more subscribers. Create a cheat sheet packed with game-changing knowledge which can save your subscribers valuable time. You don’t have to work a lot to make your cheat sheet attractive, just give that value to your cheat sheet your subscribers looking for. Make effort to create a simple but effective cheat sheet. Almost every freelancer no matter he/she is a newbie or professional is always looking for someone who can provide solutions to some of his/her niche questions. Here coaching sessions play a vital role in building a great email list. If you are a niche expert you can offer people a free 10 to 15 minutes of coaching sessions. It is short time period and to make the session more manageable you have to set a question limit. 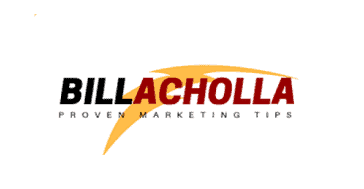 Provide a solution to 2 or 3 most burning niche questions of your visitors. If you are a life coach or career consultant it will be easy for you to build a large email list. Before offering coaching sessions make sure you are great at engaging with new people and can provide an effective solution for their problems. Free coaching sessions are more attractive compared to other lead magnets. The best part of webinars it is valuable after being executed. You can make a list of those burning questions you have answered during the webinars. Use those answers in your future blogs or provide that content as paid products. Offering top quality applications and free tools will be more attractive compared to other offerings. Free Toolkit bribe can build your email list like crazy. Free Toolkit can get you tons of subscribers but you must have top quality tools, eBooks, exclusive content and worksheet in your pouch. Many top blogging websites including BloggingWizard.com and CopyBlogger.com offer high-quality toolkits to their subscribers. Toolkits are easy to manage and seem to be very valuable to your subscribers compared to conventional cheat sheets and eBooks. Toolkits are highly eye-catchy because they can provide solutions to many problems. Free toolkits help in building healthy relations with your subscribers and also establish your brand image more effectively. An eBook is packed with enough detailed information and maybe little lengthier. Before offering an eBook make sure it must be effective and digestible. Why should someone spend time reading your eBook? Extra lengthy or ineffective eBook can turn off your subscriber. Thus, make effort to create to-the-point eBook, list some quickly applicable tips and never go out of the niche subject. An ebook is widely used lead magnet by most of the bloggers. Thus, it’s difficult to attract the target audience because they have lots of options available. Make effort to create an actionable and extremely focused eBook. Choosing an easily digestible topic is another necessary element for making an eBook more effective. Another option is to create an eBook with a complex topic which will attract most of the niche professionals. Make sure your eBook must be digestible even it is little lengthier. Most people never take any actions and do not respond to your offers. It becomes very difficult to convince them to exchange their contact at least the email. One of the best ways to deal with these kinds of people is to offer a challenge. You can offer different challenges regarding your niche and targeted audience. For example, if you are in fitness related business you can offer some kind of 30 days activity challenge. Pick a specific objective, ask your audience about your challenge and give them a deadline for the challenge. A challenge kind of lead magnet also attracts that audience who doesn’t want to take part in the challenge but are willing to be updated with the challenged activity and news. If you want to offer something different to your visitors you can go with these kinds of challenge lead magnets. Many top marketers and influencers have built a great email list with this strategy. Who would not love to hear from the experts and apply their suggestions for better results? A well-managed expert roundup with great value can generate lots of leads. An expert roundup proved to be beneficial in many ways. Firstly you get engaged with many same minded professionals and experts. An expert roundup becomes very attractive and no doubt it is easy to digest. Expert roundup post is the simplest way to engage with those experts’s audience you have included in your post. You get a bigger platform and more audience with just one roundup post. Don’t ask multiple questions to the experts, not more than two questions at a time. We all know that professionals are busy and including many questions in one post will make your post extra lengthier too. Make effort to add more experts to your roundup instead of adding multiple questions. Many top marketers and influencers are using free membership forum to build a bigger email list. Always keep the membership free to attract more audience. Convince your visitors that they will get valuable knowledge after getting the free membership. Make your membership offer more convincing and use it as your main lead magnet. You have to make your membership offer more tempting too. Provide different free resources including worksheets, eBook, blog posts etc with your free membership. Once people get your membership you can offer them premium features and step towards money blogging. You can offer new content to your audience once a week or month. This will keep engaging your subscribers to your blog. Use a free membership plugin to set a basic membership offer or you can use any premium plugin to add more advanced features to your membership. A video course is the best way to engage with your subscribers. A well-created video course will make your lead magnet more attractive and actionable. Infographic and video are more irresistible and also have a great perceived value compared to conventional content. Visual content are easy to digest, keep the audience on, makes your blog stylish and helps you in engaging with more people. You can create a visual content by including some of the basic and advance tips for your subscribers. It will help your audience to feel connected with your blog resulting in higher leads and revenue. Quiz types of lead magnet convince the audience that it can tell more about their current status in their industry. These kinds of lead magnets are used by smart marketers. If you are looking for a totally different lead magnet you can go with this type of lead magnets. This lead magnet has many like features as the challenge forum but it is more interesting. Your audience gets answers of some of the questions including in that particular quiz. Make it simple, fast and effective to engage with tons of subscribers in short time. This lead magnet is used by top most marketers including Jeff Bullas and Forbes. Many top marketers and influencers have created tons of content and eBooks for their blog. What if can provide a physical book to your audience having some of the best and effective tips? This lead magnet is used by many top marketers but it might be inapplicable for everyone. Everyone is not going to provide a free physical book just for an email. Despite that, this lead magnet can be the master stroke for you and will provide you subscribers and customers at the same time. You will provide a free book but your subscriber will pay for the shipping. This means those subscribers can later turn on as your regular customers. If you are a newbie don’t go with this idea and if you are a professional make sure you have qualified subscribers those can be turned as paying customers later. Case studies are particularly those learned lessons or knowledge you have gained during your professional journey. It will be the great source to attract subscribers if created interestingly. In a case study, you can figure out your best strategy or mistakes you have made. The points may be taken from your whole professional journey or from your recent niche projects. You can share your success story, list some of your worse mistakes and provide few basic rules to your audience. If you had a large audience then surely many of them will love to hear from you. Case studies will be more authentic when you will add real examples with it. It may be some kind of data evidence, proven strategies or snapshots. Real examples will make your case study valuable. Email marketing is still effective when we have dozens of other social media platforms. One of the biggest reason is that you got connected something like personally with the user. If you are a professional online marketer or a beginner, make efforts to grow your email list. The bigger email list will directly affect your earnings. Make sure to build a bigger email list using a good lead magnet.